Interactive Brokes Trading Software, the Trader Workstation (TWS) has so many features that it could be quite overwhelming for new users. So I will post some features about the TWS, every once in a while from now on. 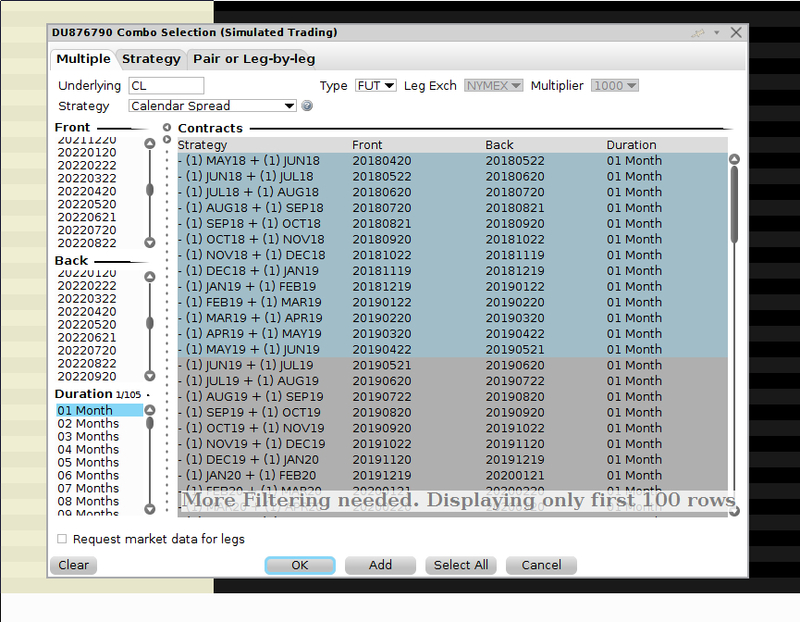 Today I will show you how to add a Window with a listing of Future Spreads to the TWS. You simply click on the Blue Button New Window > More Advanced Tools > Quote Monitor. 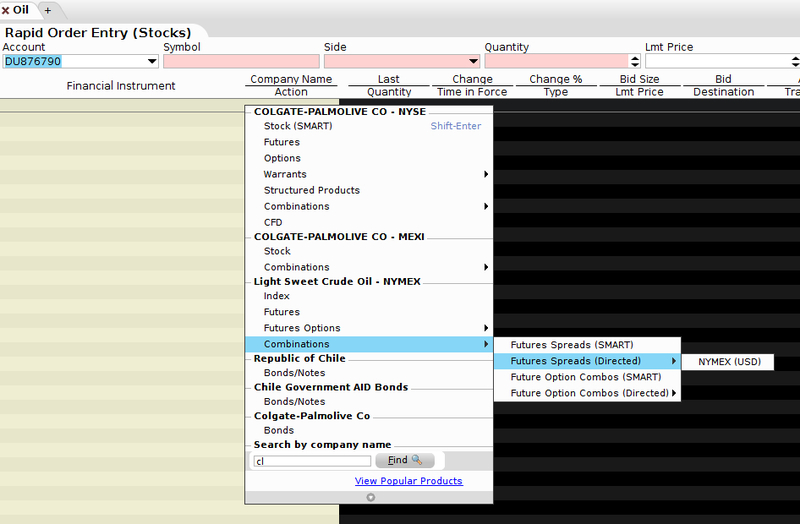 You give your List a name…I used Oil, because I will add CL Future Spreads. You will now have an empty Quote Monitor Page. If you click on the + you can add more Pages. 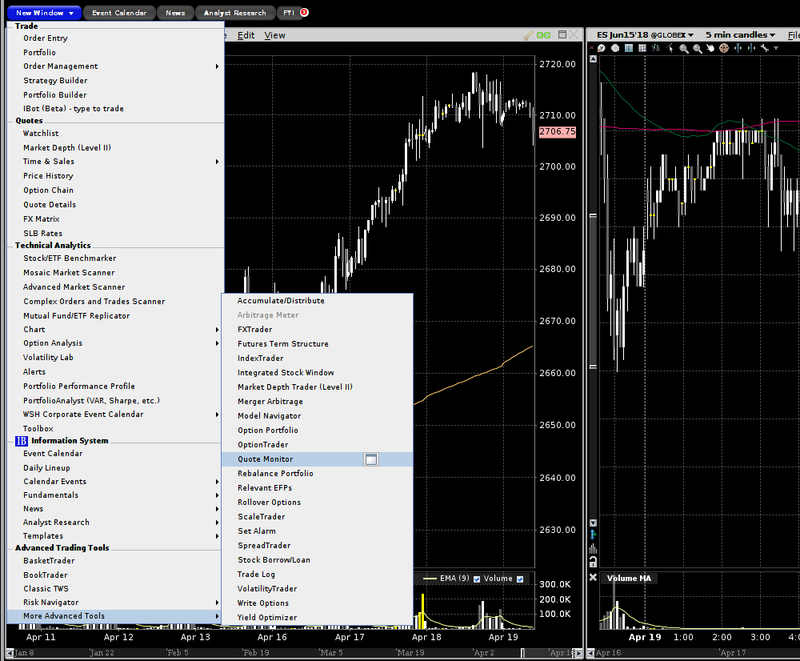 A Window pops up and now you can mark the Spreads you would like to add. 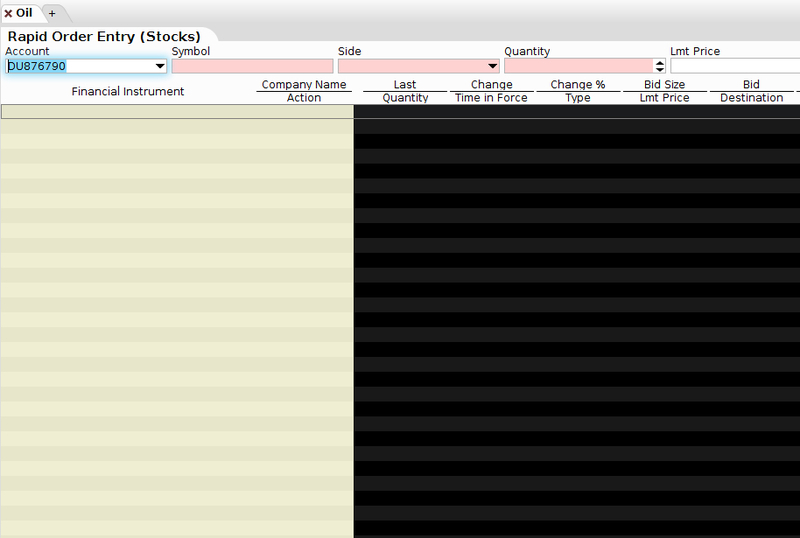 Once you’re finished you can click on OK.
And Voila, you have your Quote Monitor Page with a listing of Future Spreads.